The purpose of this internship is to provide support to the activities of the implementation of the programmes within Bongo Forex Tanzania. During the internship, the intern will have the opportunity to support in the production of communications deliverables, global advocacy campaigns and event management. Finally, the intern will have the opportunity to learn about trading, and investment in the national and global context, and the functioning of the Bongo Forex. Monitors the media by collecting and sharing weekly news bulletin containing news on Bongo Forex, trades and investments issues related news reported in local media, and compiles a monthly report. Develops web content, stories for mainstream, newsletter content, press releases, brochures, social media posts, including translating and contextualizing infographics into Kiswahili for Tanzanian audiences. Reviews communication products reports to summarize and package for dissemination, policy briefs, fliers and factsheets. Awareness and sensitivity regarding trading issues. Teamwork, professionalism and communication skills. Have good knowledge in trading and investments. Have prior experience in corporate communications. The intern must have studies in Journalism or Communications or IT or other similar subject at the university level. Be enrolled in a graduate school programme (second university degree or equivalent, or higher); Be enrolled in the final academic year of a first university degree programme (minimum Bachelor’s level or equivalent); Have graduated with a university degree and, if selected, must commence the internship within a one-year period of graduation (not necessary). 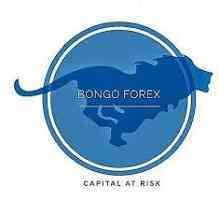 Bongo Forex will only be able to respond to those applications in which there is further interest. The intern must provide proof of school enrollment, a scanned copy of his/her passport, two letters of recommendation, and application.